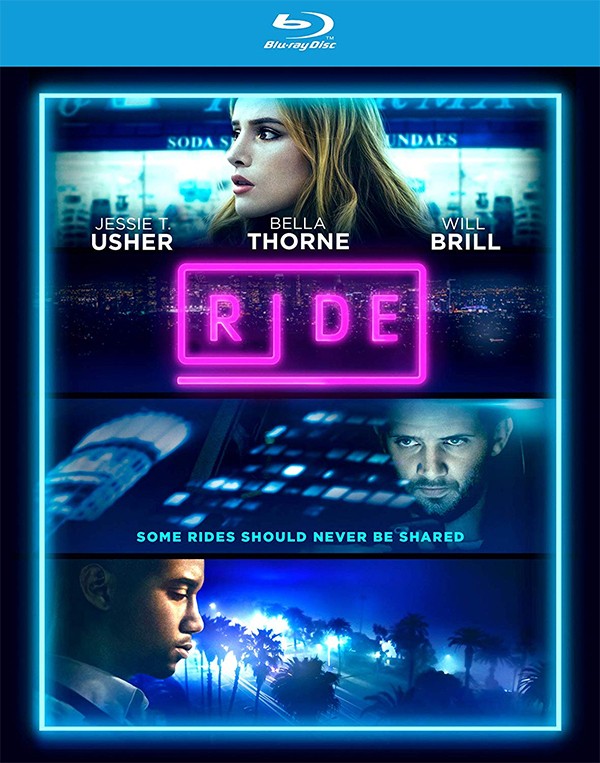 RLJE Films (NASDAQ: RLJE) will release the thriller film RIDE on DVD and Blu-ray on December 4, 2018. RIDE stars Bella Thorne (Midnight Sun, “Famous in Love”), Jessie T. Usher (Shaft, “Survivor’s Remorse”) and Will Brill (“The Marvelous Mrs. Maisel”, “The OA"). The film marks the feature film debut from writer/director Jeremy Ungar. RLJE Films will release RIDE on DVD and Blu-ray. In RIDE, a struggling actor by day, James pays his bills by driving people around Los Angeles for a ride sharing service. His night starts out like any other, but he can’t believe his luck when he picks up the beautiful Jessica, and they immediately hit it off. His next fare, the fast-talking Bruno, convinces James to go back and invite her to join them for a wild night out. But things take a shocking turn when Bruno, armed with a gun and a twisted idea of fun, forces them on a terrifying, white-knuckle ride that quickly spirals out of control. Bonus feature on the RIDE DVD and Blu-ray includes the original RIDE short film. I Have an "ETSY STORE" Come On Over, Take a Look!